Quite unlike other SF I have read. 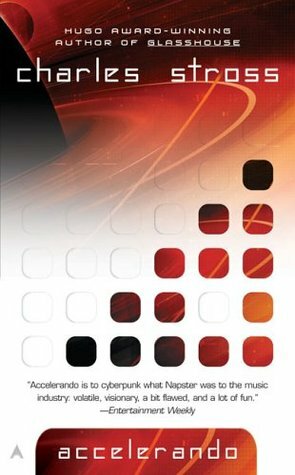 Sign into Goodreads to see if any of your friends have read Accelerando. greg egan's _diaspora_ is quite similar. By the way how would you compare it to Permutation City by the same author? permutation city is about a single idea, and while some other ideas play a part in PC (the insects, for instance) it's really just the two parts: before launch and after. diaspora is more like accelerando in that it takes place over a longer period of time and contains many parts, each of which has distinct world building that would suffice as the setting of an entire novel.